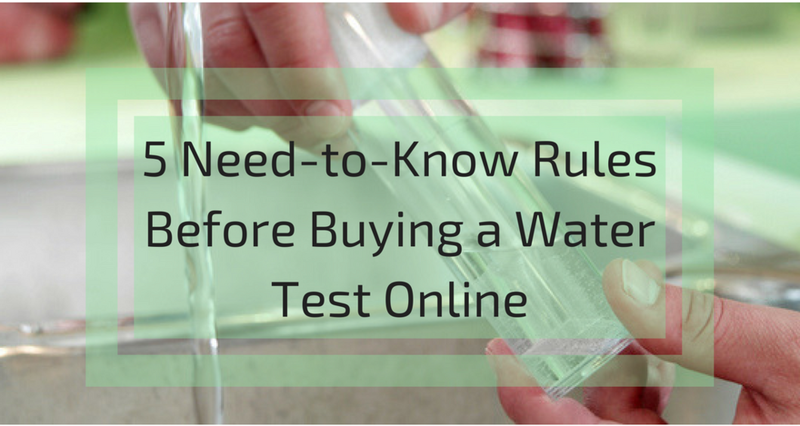 Buying A Water Test Online? It is important to periodically check the health of your drinking water. Nobody disputes that. Whether you are served by a private well or a local water utility, buying a laboratory-based water test online is one of the easiest ways to get a clear picture of your water quality. There are different types of online water tests and different types of water quality reports. These are some of the most important things to look for when choosing one to avoid misleading products and shady business practices. 1. Don’t Be Scammed, No Online Sampling Method Will Be Fully Certified. If they say otherwise they’re probably lying. The only way to obtain a fully Certified Sample is if a trained technician, authorized by your State comes to your home and performs the sampling. Most situations do not require this arduous certification sampling process, and any online test that describes itself as “certified” may be selling you snake oil. 2. Do-It-Yourself Home Test Kits Are Neither Accurate Nor Comprehensive. For chemical water testing, products like this are not worth the time, mess or your money. They are your worst-case scenario testing option. Laboratory professionals should perform chemical analysis, the testing equipment costs millions of dollars for a reason. Biological testing for bacteria and other pathogens is an exception to this rule. Self Testing kits for coliform and other bacteria are much more accurate and can save you hundreds of dollars on testing and overnight shipping fees. 3. Find The Test That Fits Your Needs. If you have a private well, buy a well water test (here's ours). If you are the customer of local water utility the look for a test that specializes in treated drinking water (e.g. city water test). 4. Return Shipping Costs Can Be Expensive–Check for Hidden Costs. Many labs exclude the expensive cost of return shipping when they sell a testing service. Sending a heavy, water-filled package quickly to the lab (especially for testing bacteria) can cost you as much as $40. Look for testing services that include all hidden costs. 5. More Contaminants Does Not Mean Better Testing. Many companies will try to sell you on their kits by listing a huge number of contaminants. This is nothing more than marketing spin. Any lab can readily perform certain testing methods that will concurrently analyze water for hundreds of superfluous chemicals. However, most of these chemicals have no realistic chance of appearing in your drinking water, (nor indeed appearing on planet earth! ).